1555.033 UNISAB II (UNISAB 2) Lithium Battery. Replaces: Battery 1555.033, UNISAB II Controller (UNISAB 2) batteries and more. This 1555.033 Lithium (UNISAB 2) controller battery fits several UNISAB II refrigeration controllers. It is a DIRECT replacement for the 1555.033 battery. This 1555.033 is for use with UNISAB II (UNISAB 2) controllers, the computerised monitoring and control system from YORK Refrigeration. 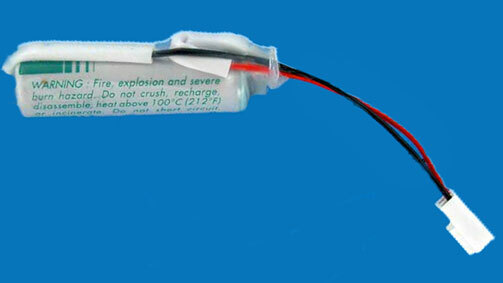 This UNISAB II 1555.033 (UNISAB 2) battery comes with a one year manufacturer's warranty.